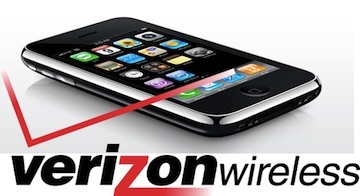 In the fourth financial quarter of 2011, Verizon Wireless sold a reported 4.2 million Apple iPhone’s. The total was a record for iPhone sales for Verizon since they first began selling the widely popular Apple product. However, Verizon had to subsidize the production of the phone in order to put more on the market. This led to the profits from the sales dropping significantly. Verizon executives are contesting that there is no problem with how they did business. Officials say that this is simply how phone companies do business with Apple in order to get more of their products. It was reported months ago that Sprint does not even project to profit from iPhone sales at all until 2015. It is expected that Verizon will quickly begin to profit again as upgrades to the 4G network are projected. In other news, it is speculated that Verizon prices are about to rise now that AT&T prices have. Verizon officials would not say if prices would rise for sure, but did comment that it is likely that new package deals would be available to benefit both Verizon and their customers. Also, it is expected that the cost of phones will go up, but that service plans may not.